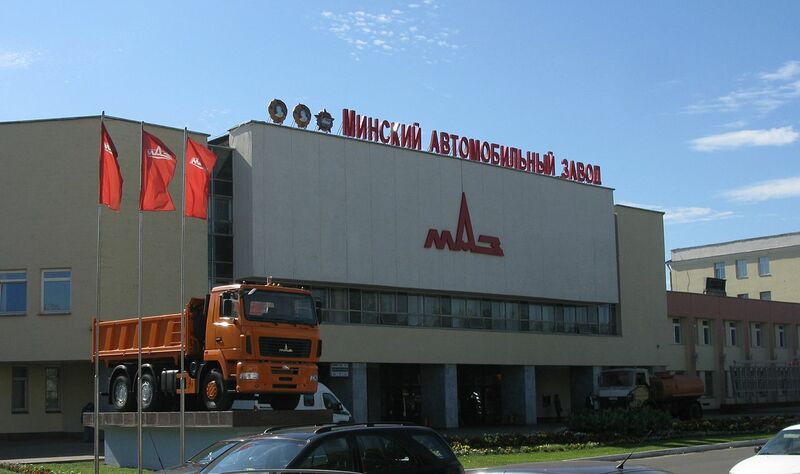 Minsk Automobile Plant (MAZ, Belarusian: Адкрытaе Акцыянэрнaе Таварыства «Мінскі аўтамабільны завод», Open JSC Minsky Automobilny Zavod) is a state-run automotive manufacturer association in Belarus, one of the largest in Eastern Europe. 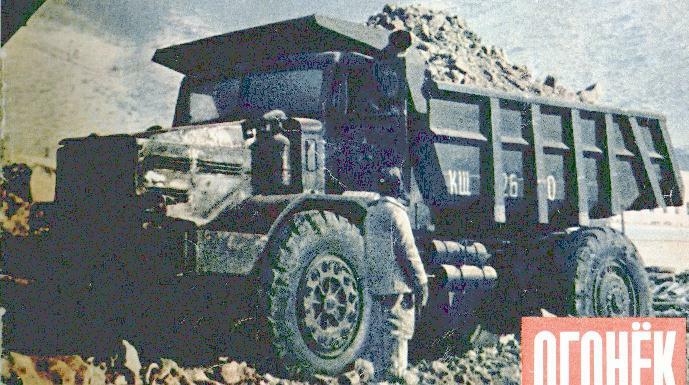 It was built shortly after the Second World War. 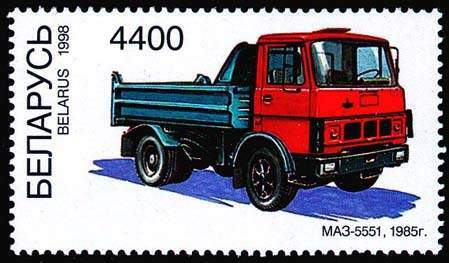 The first MAZ model (MAZ-200) used General Motors designed 2-stroke engines. 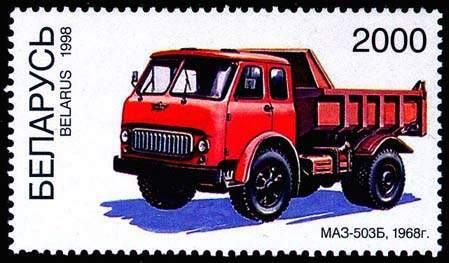 Later on their own original engines were developed and implemented in the MAZ-500 series. 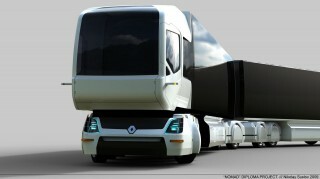 Not only the plant itself, but the entire living infrastructure were built in a short time. 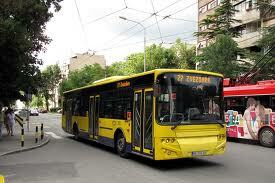 Apartment buildings, shops, medical clinics, cinemas etc. 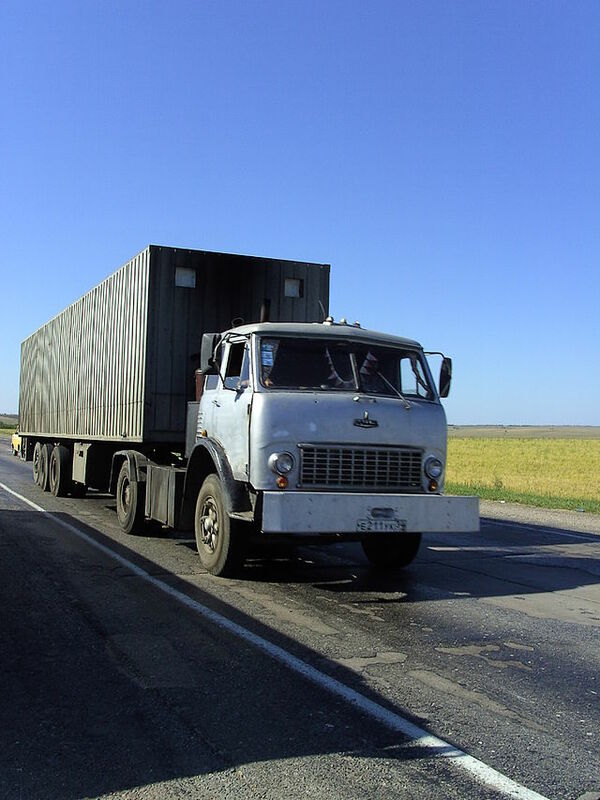 were built in close proximity to the MAZ plant, providing plant workers with local (though limited) necessities. 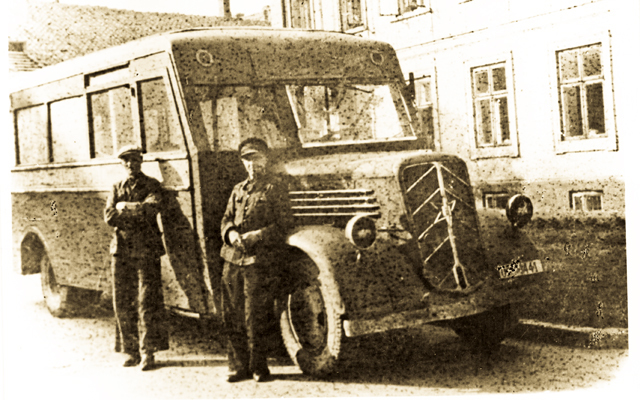 On many of the construction sites German prisoners of war were working together with Belarusian construction workers. 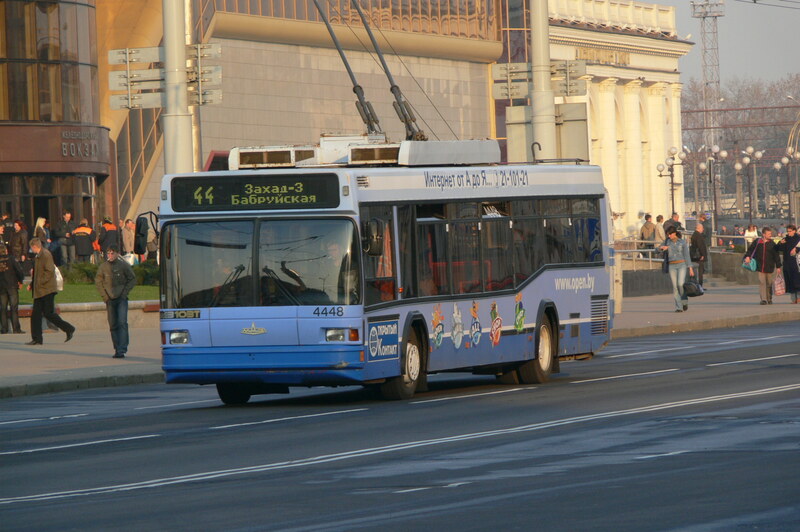 The majority of these buildings are still in service today. 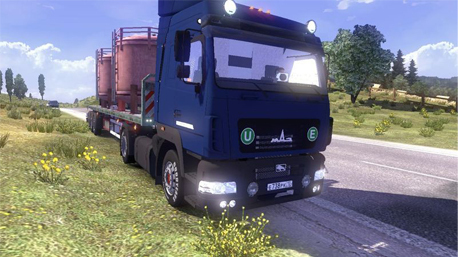 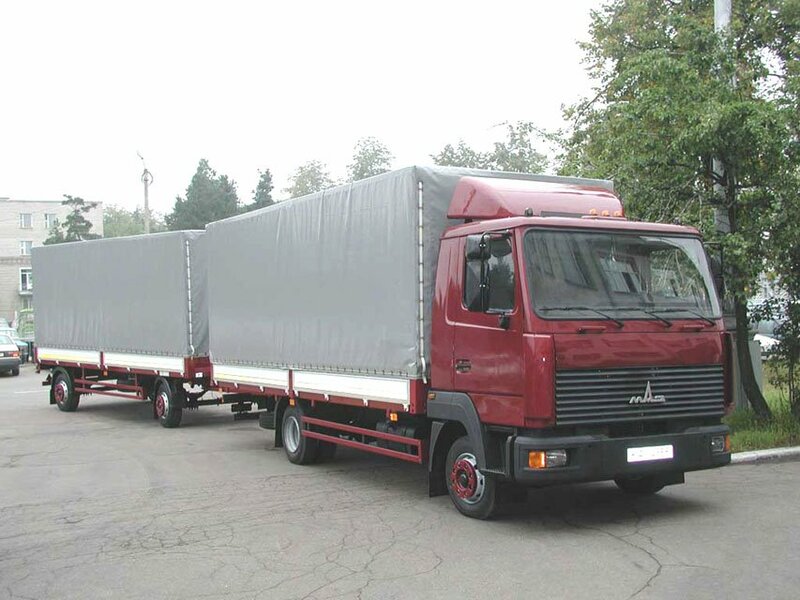 It manufactures heavy-duty trucks, buses, trolleybuses, road tractors and semi-trailers for semi-trailer trucks, and cranes. 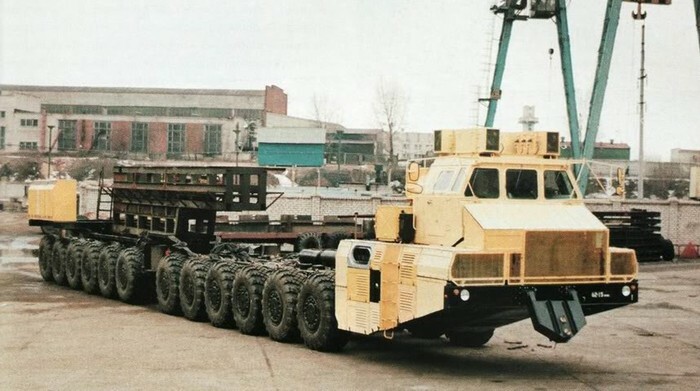 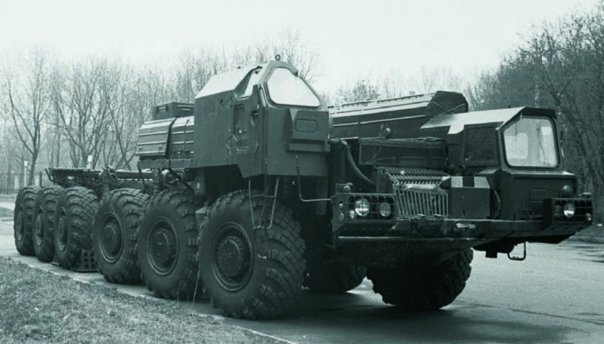 MAZ was, and possibly is, the worlds largest manufacturer of TELs (Transporter-Erector-Launchers) for many of the world’s mobile ballistic missiles, from the widely proliferated MAZ-543 used to carry and launch the Scud B through to the recent Topol M‘s impressive 8-axle TEL. 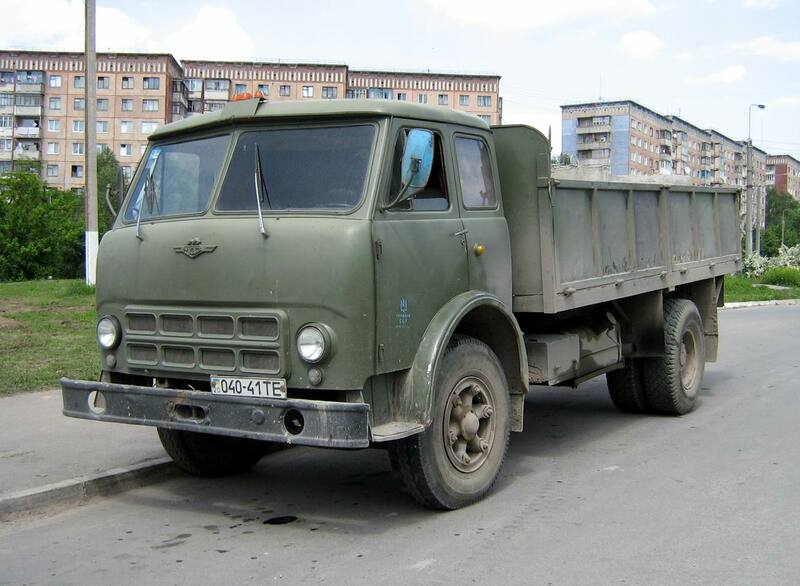 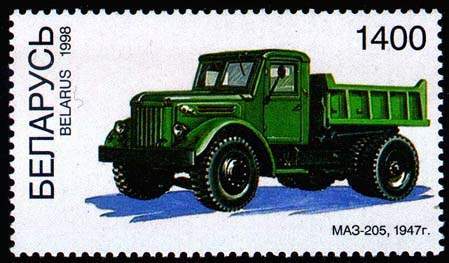 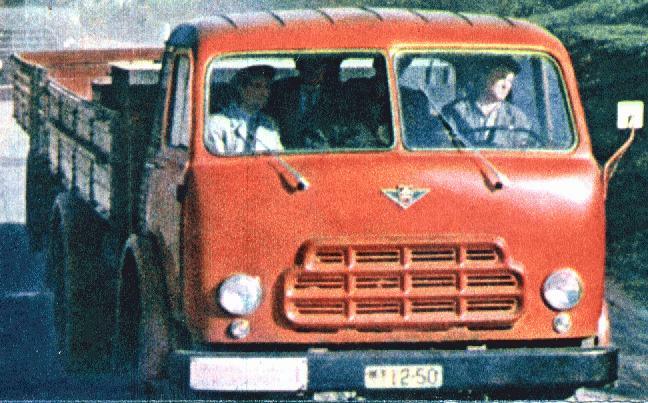 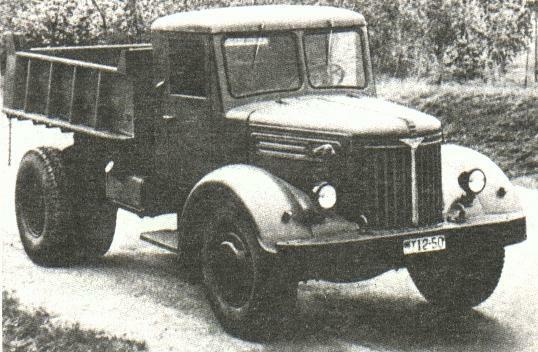 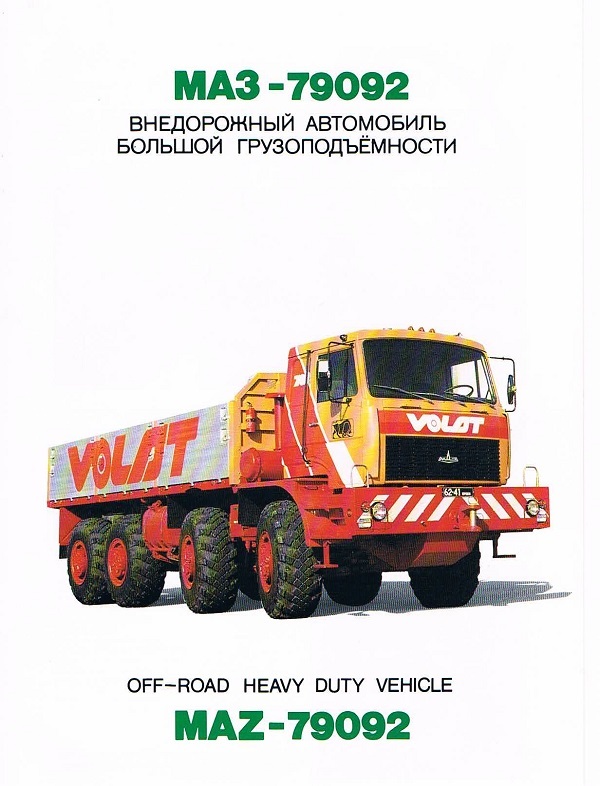 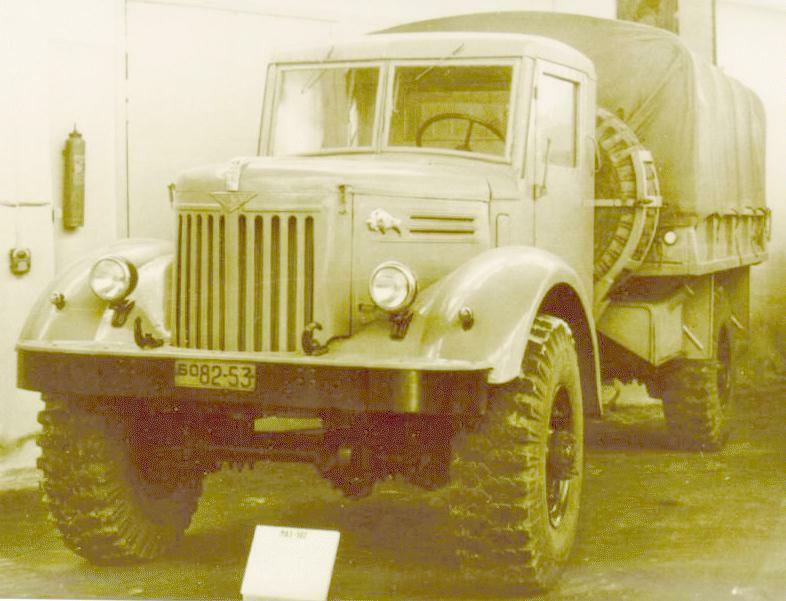 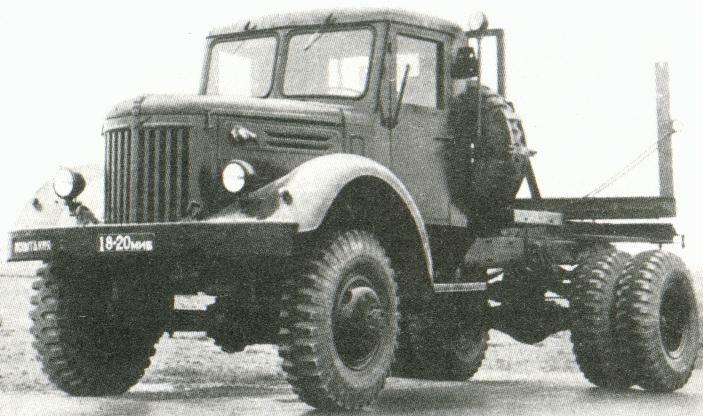 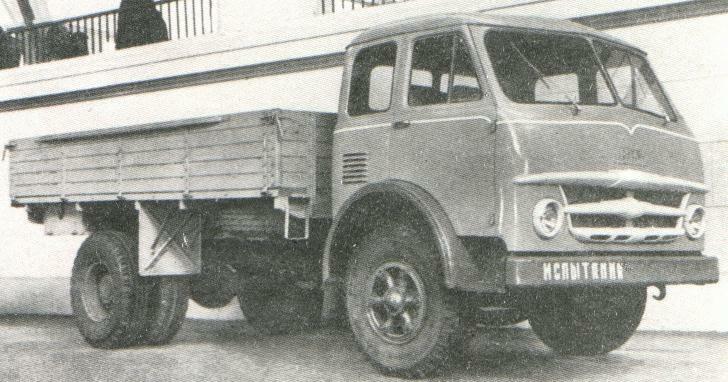 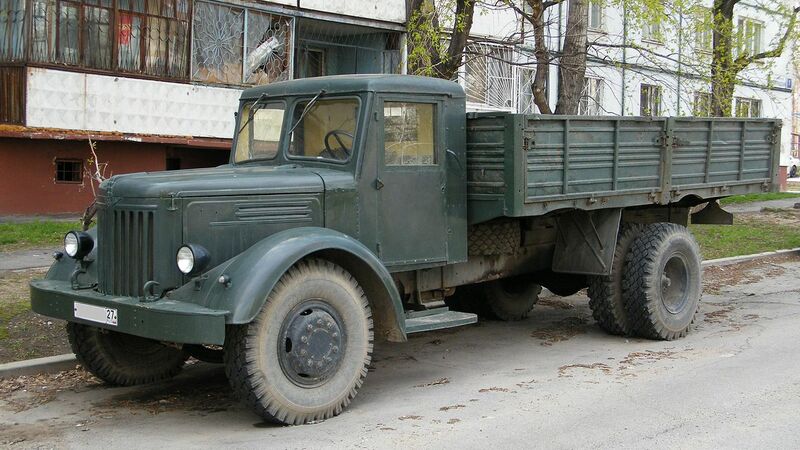 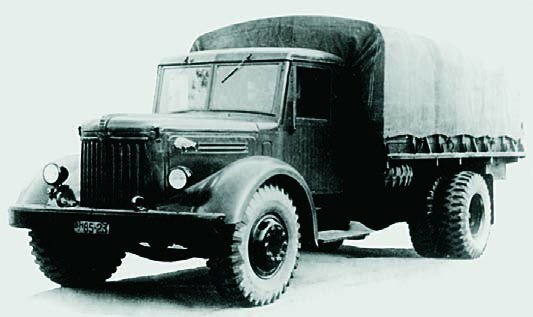 At the end of Soviet times, MAZ was the largest manufacturer of heavy trucks in the Soviet Union, and the only one for some truck categories. 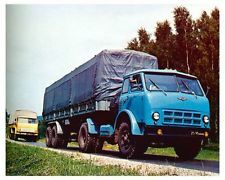 After the Soviet Union dissolved, MAZ production was reduced substantially, as has happened with many enterprises in the ultra-industrialized Belarus, oriented on the needs of a very big country. 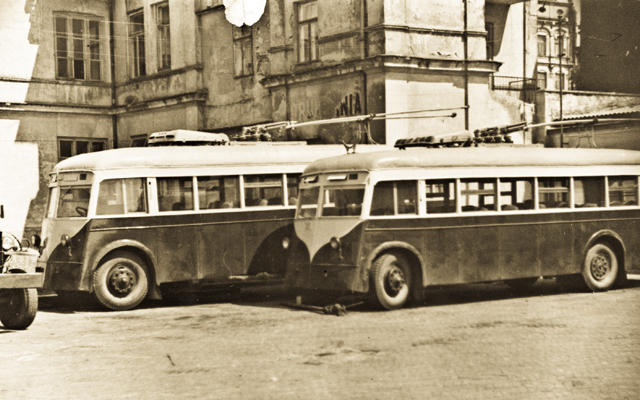 The previously mentioned production of public transport vehicles was a result of following diversification of the company. 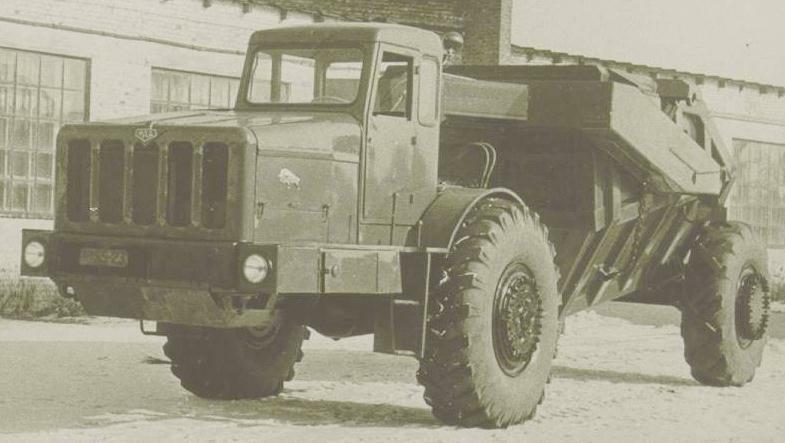 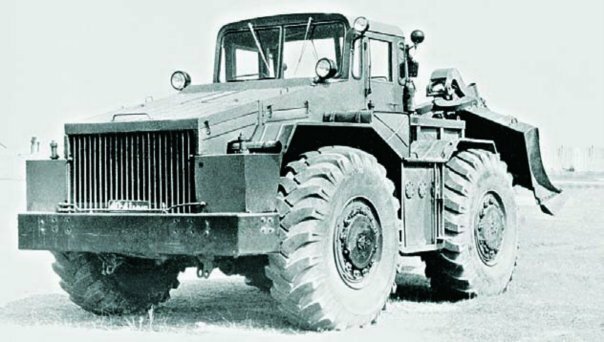 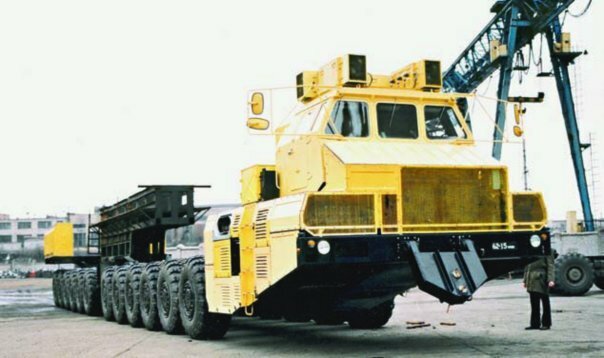 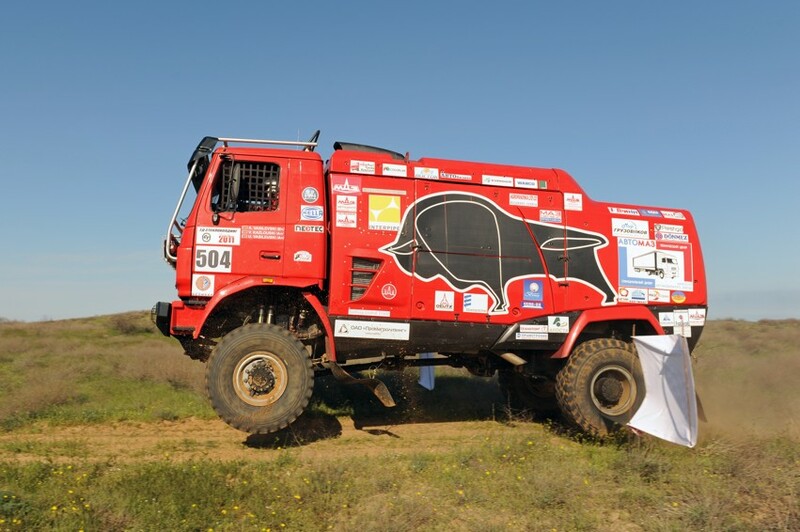 At some points of its history, MAZ was “united” with another heavy automobile company – BELAZ also located in Minsk area. 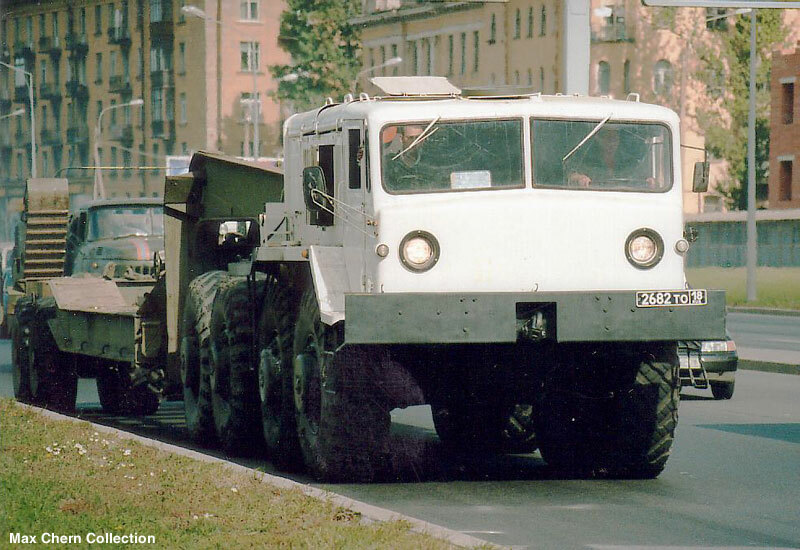 In 1991, a division specialising in heavy wheeled military vehicles was spun off into a separate business, MZKT. 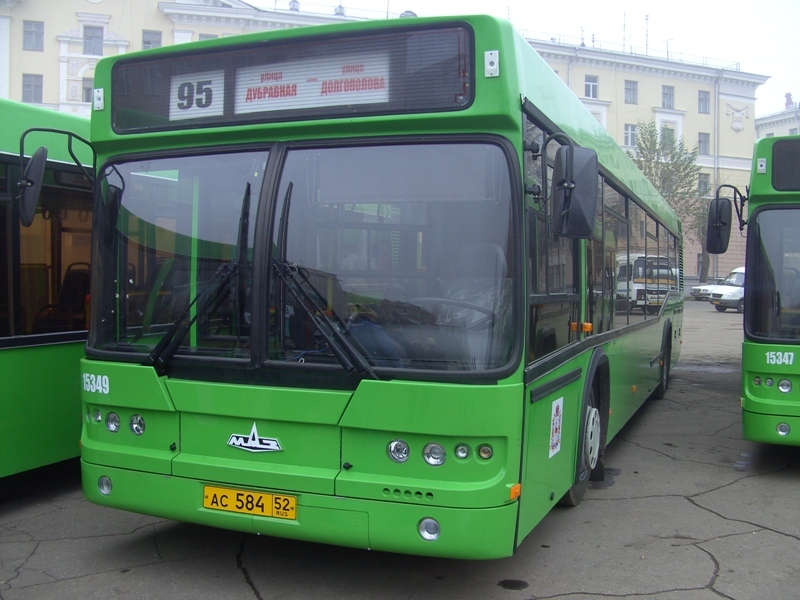 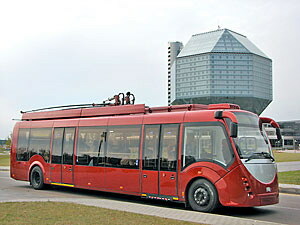 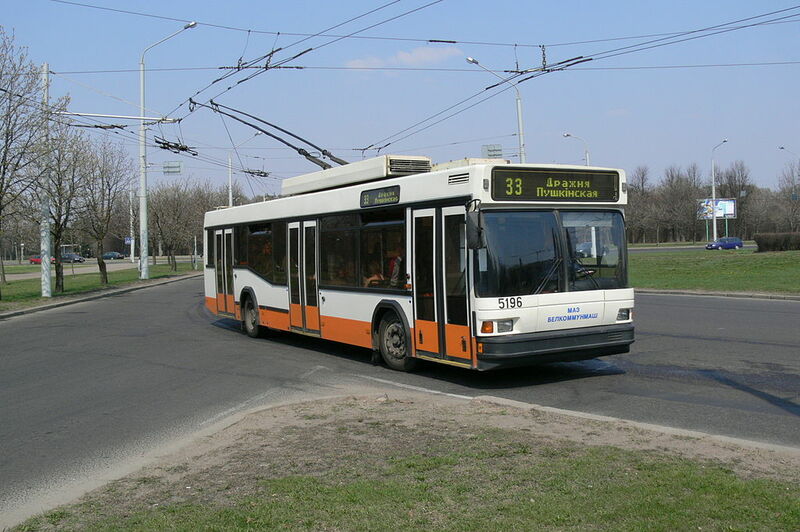 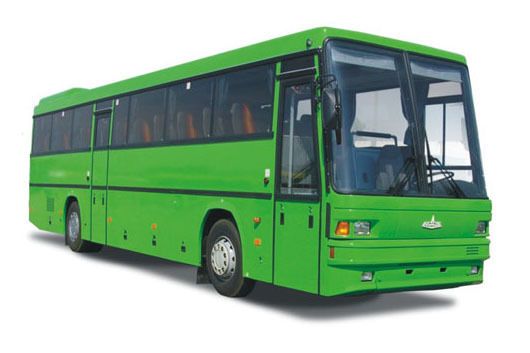 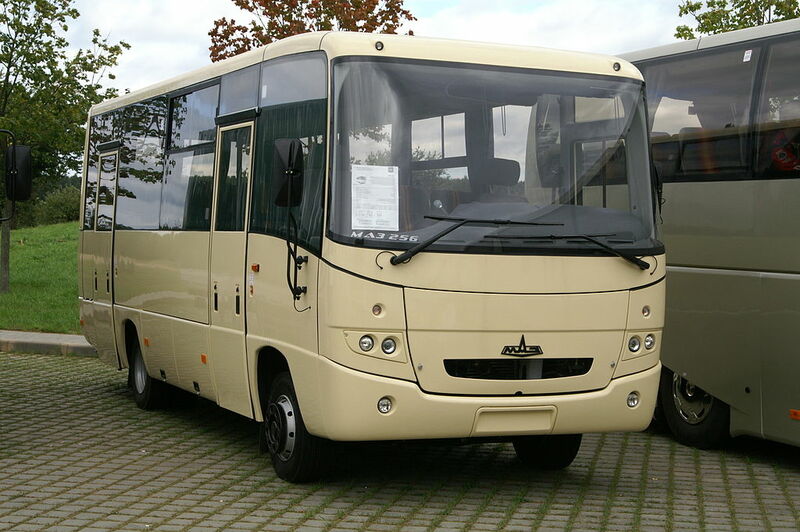 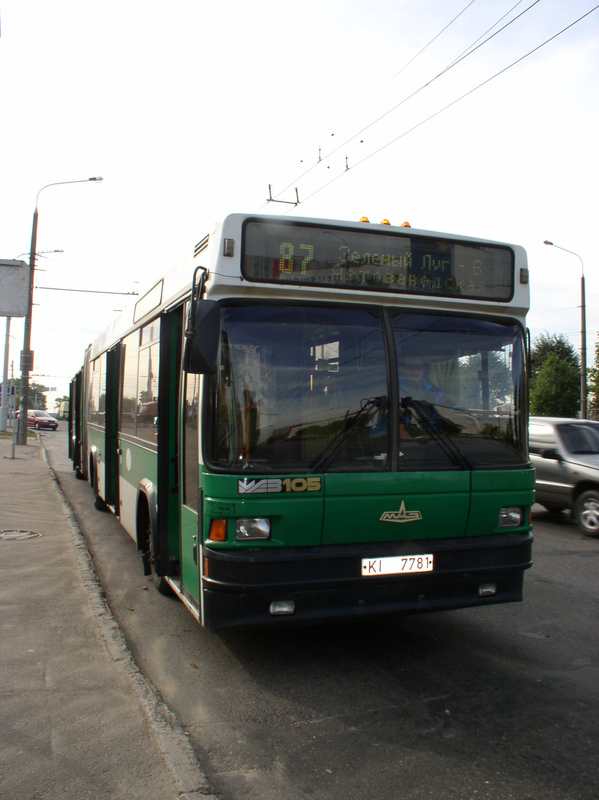 Among other recent products, MAZ city buses (see pictures below) are operating throughout Belarus, as well as in Russia, Ukraine, Poland, Romania, Serbia and Estonia. 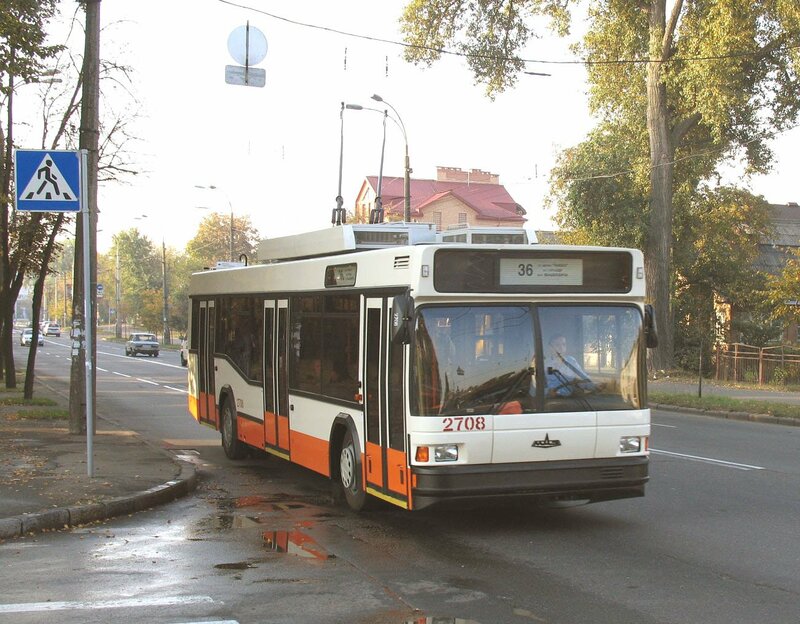 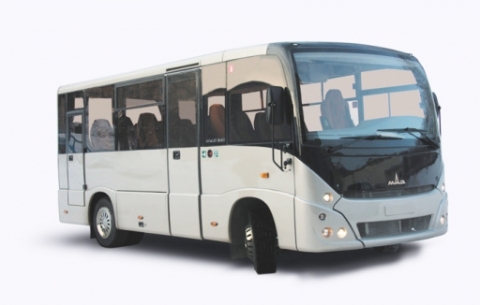 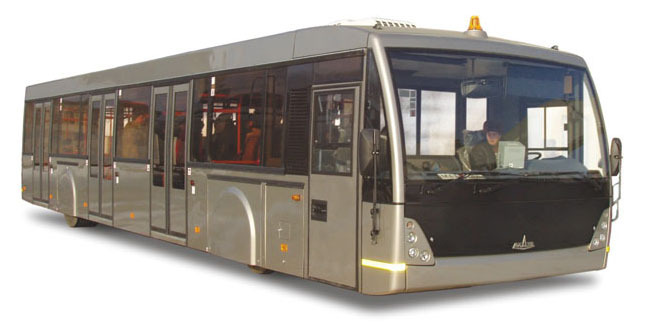 In Serbia, working in cooperation with a local-based company BIK (Bus industries Kragujevac), a production of gas-powered buses named BIK-203 has been agreed, which are based on the platform of MAZ-203 model. 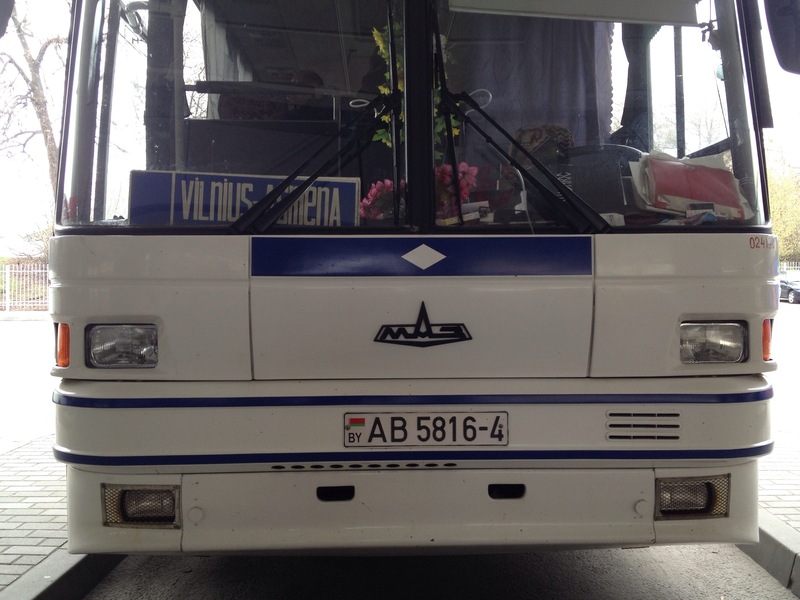 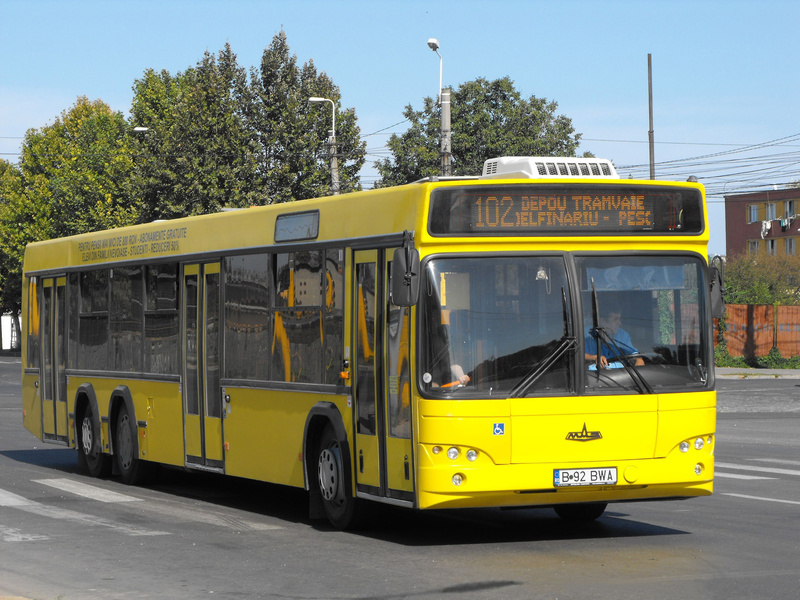 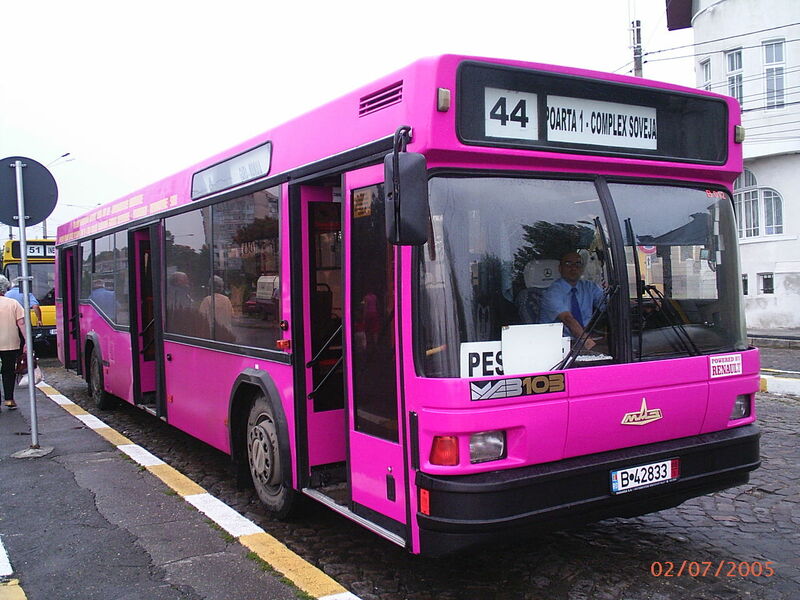 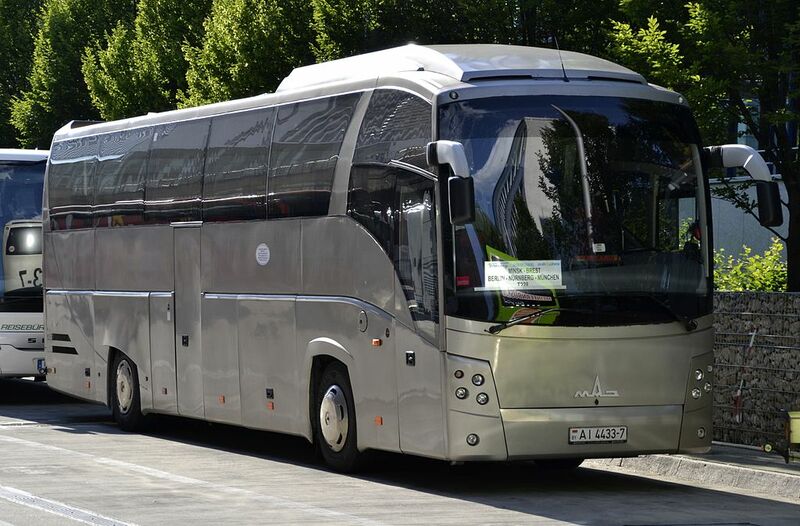 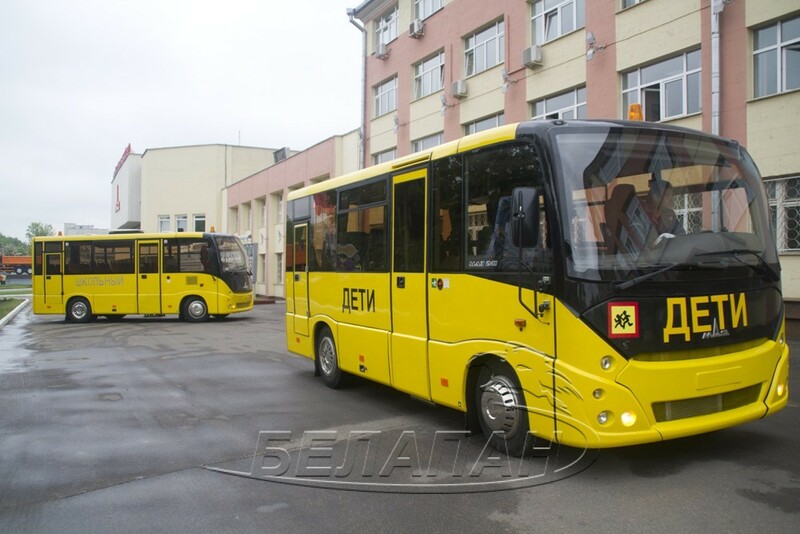 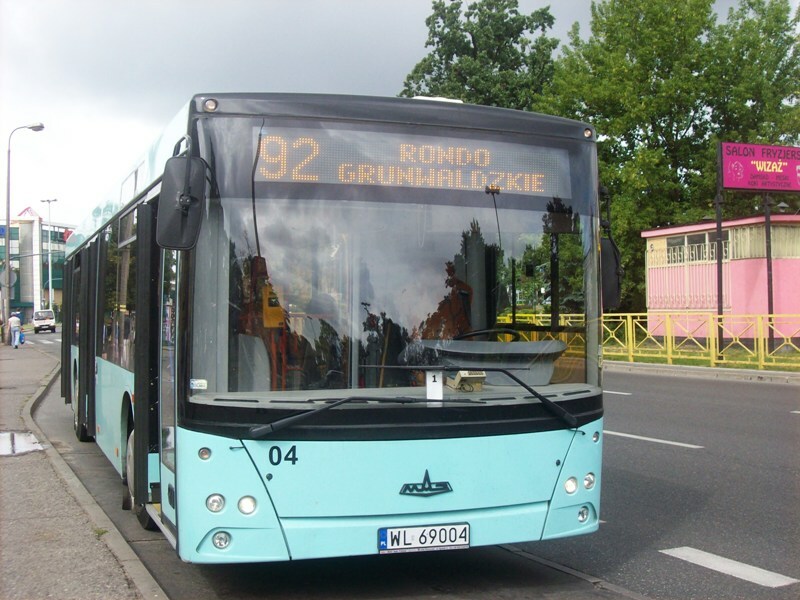 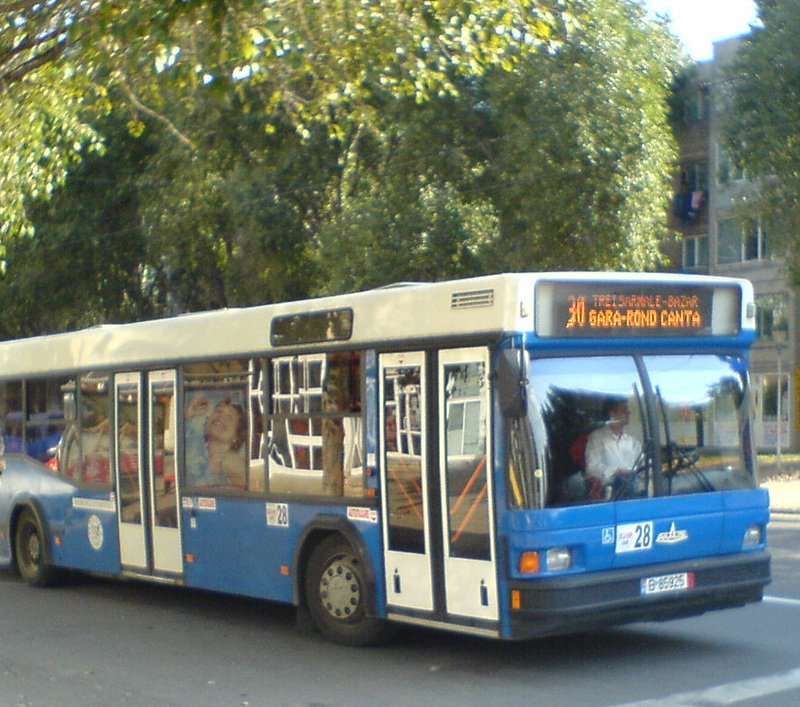 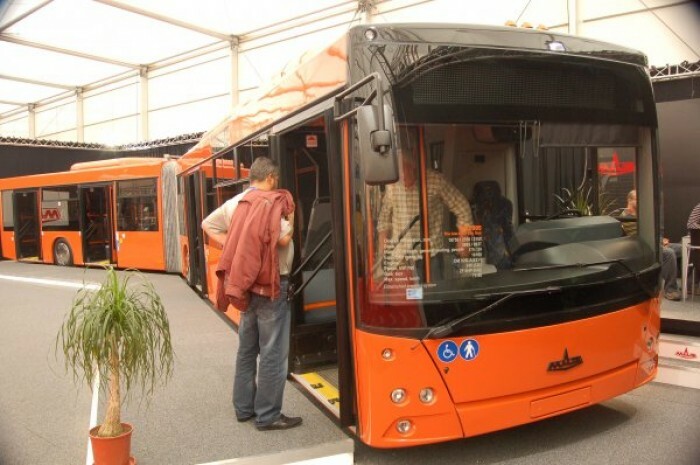 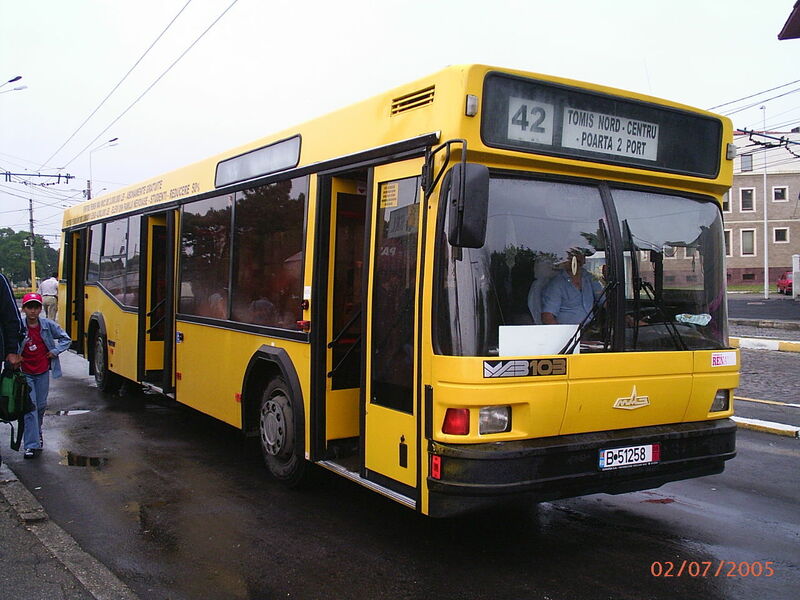 These buses have been delivered at several Serbian towns to be in use in public transportation companies. 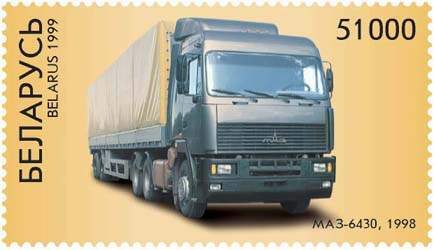 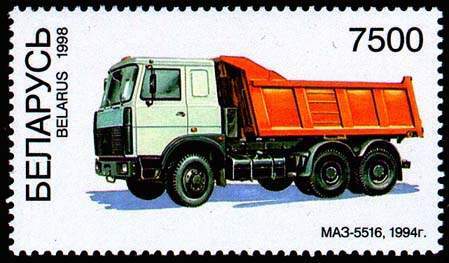 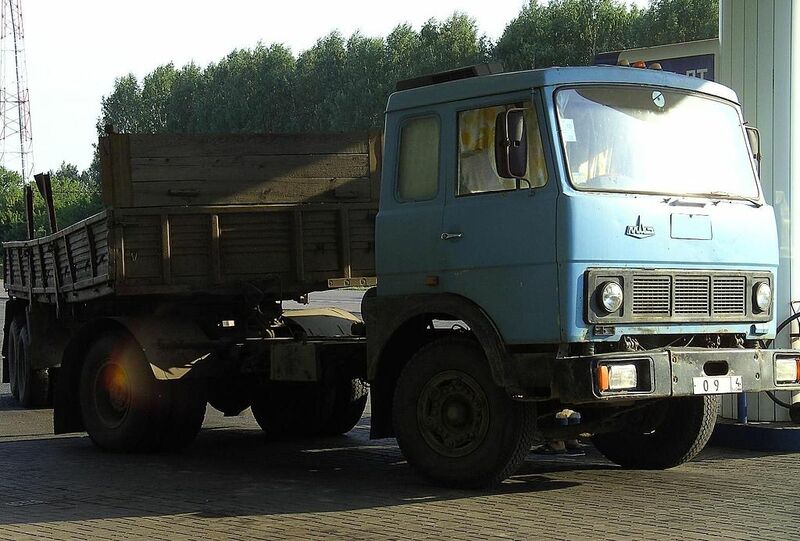 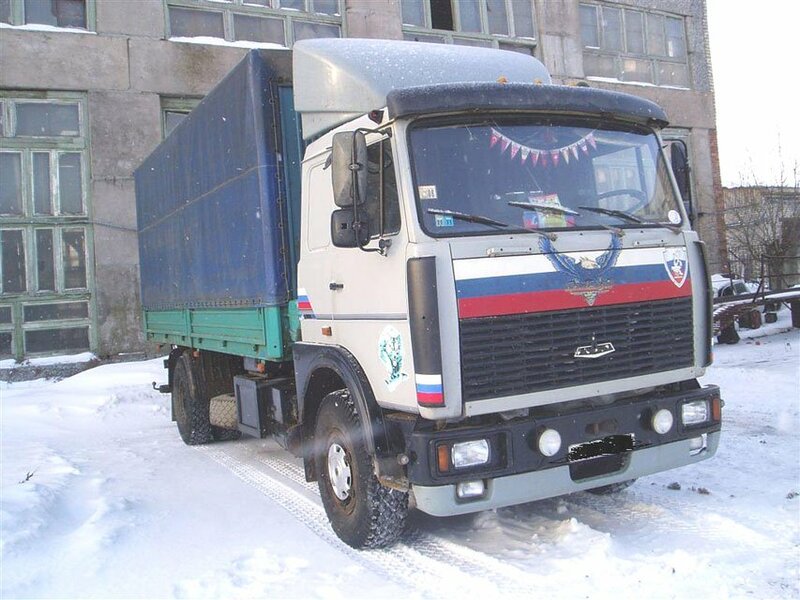 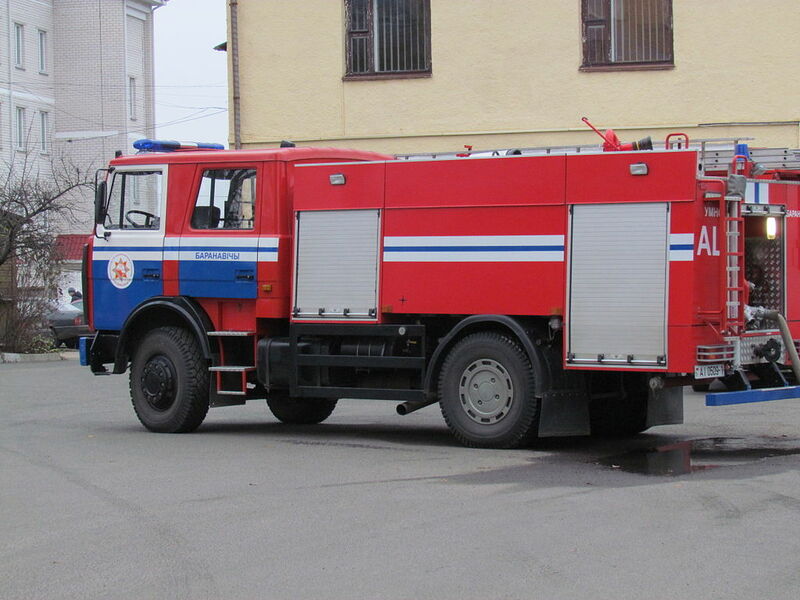 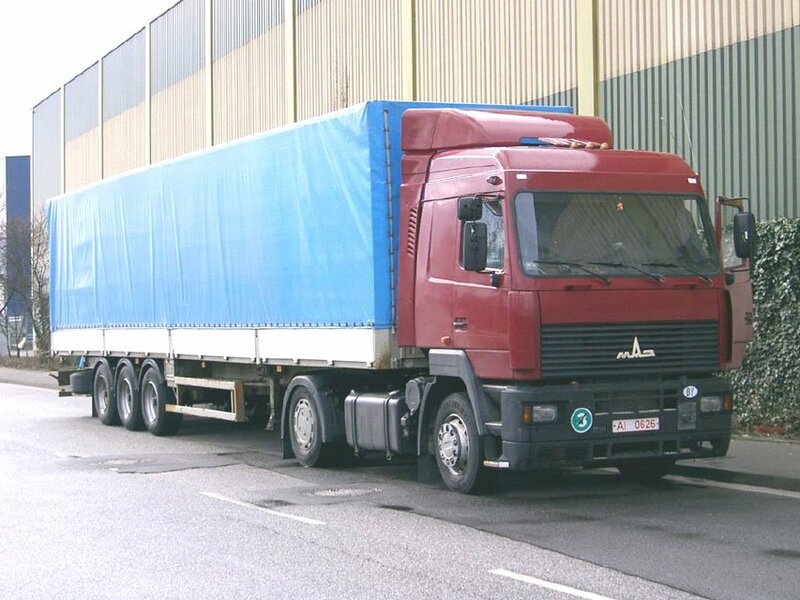 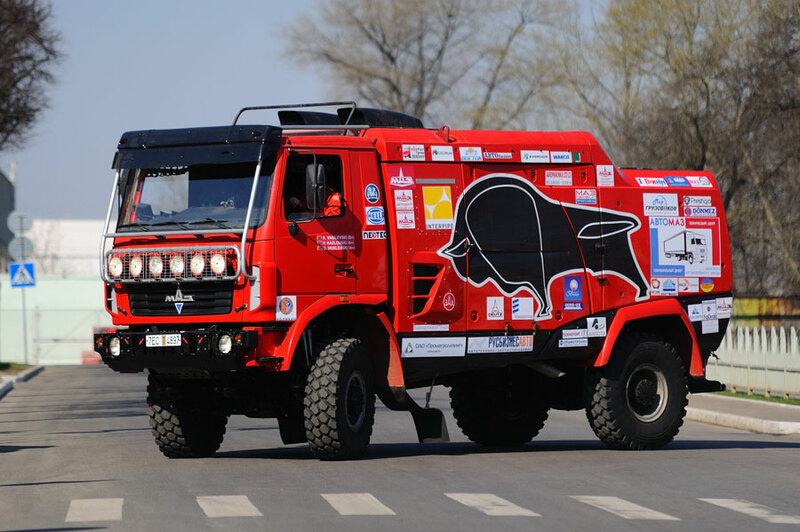 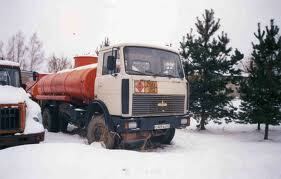 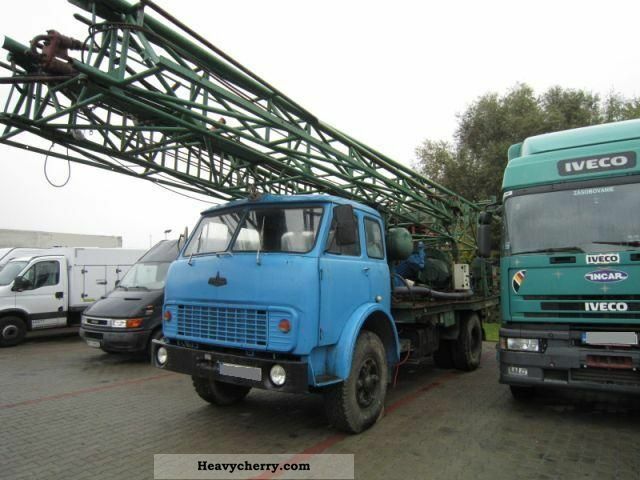 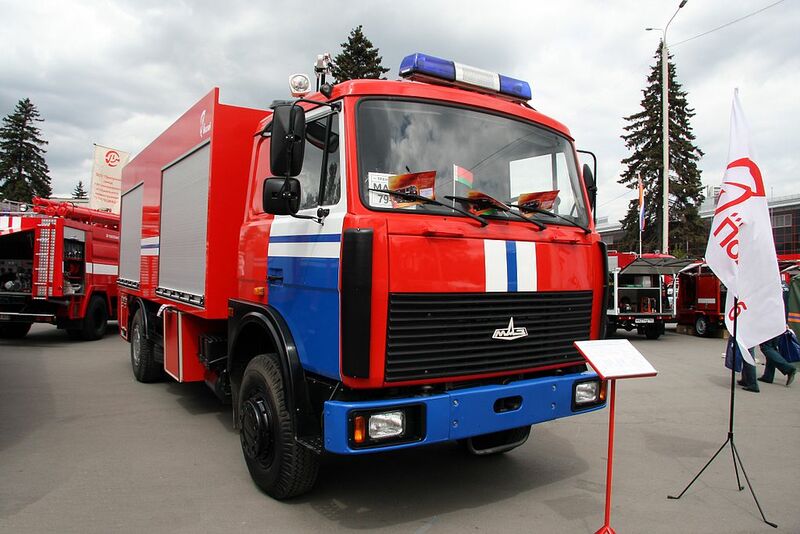 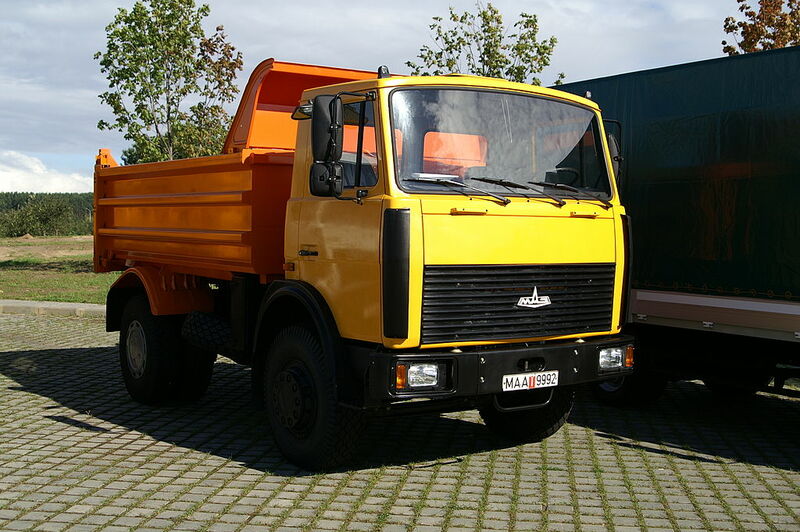 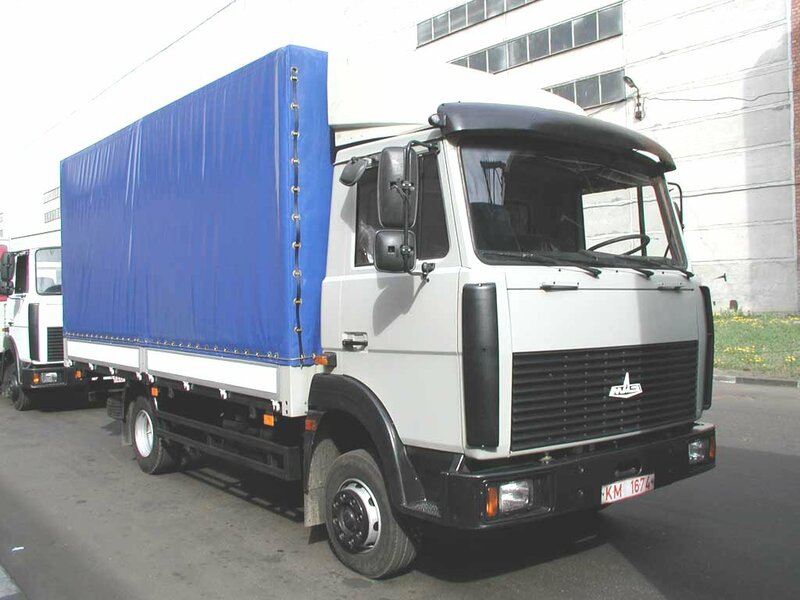 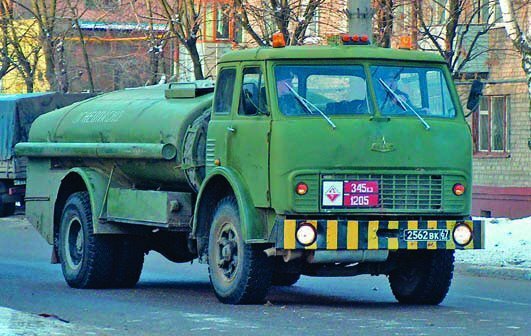 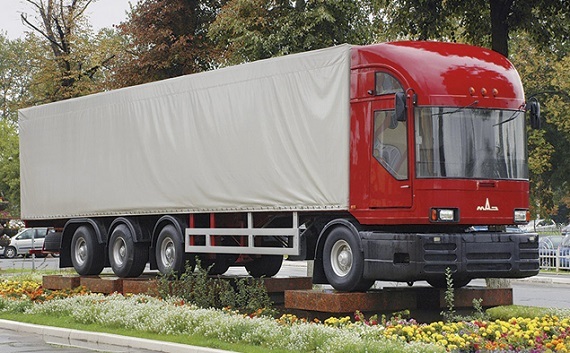 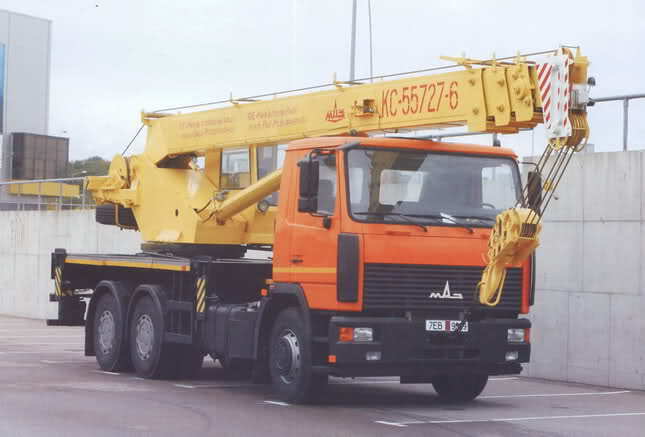 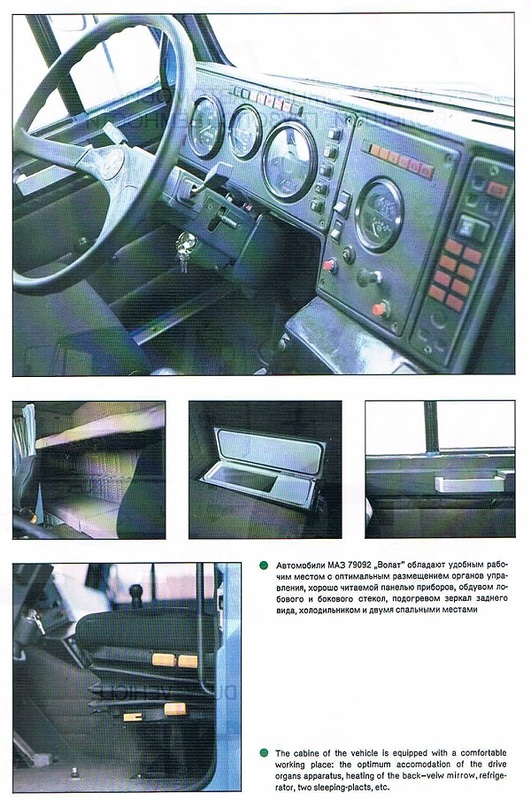 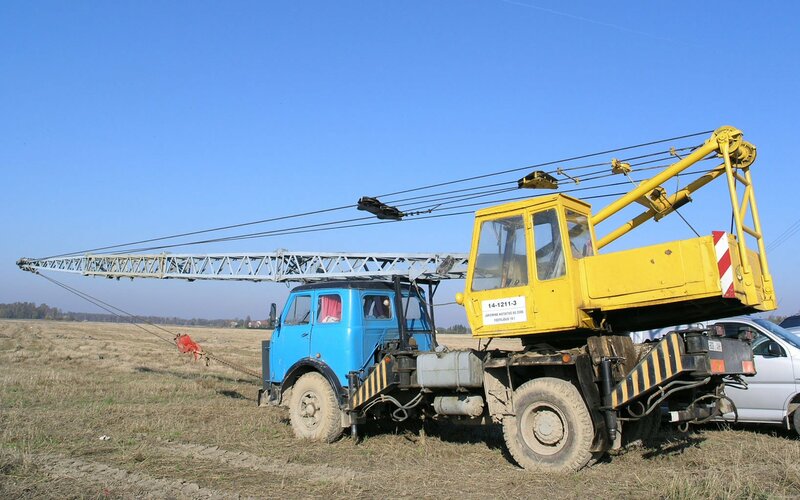 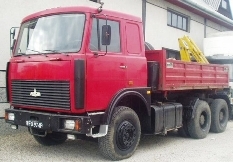 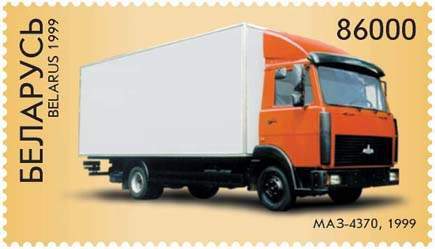 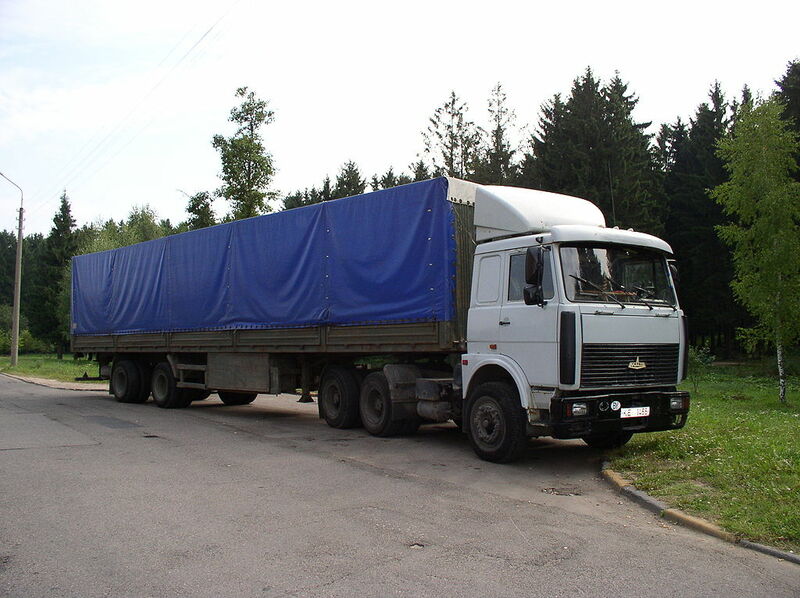 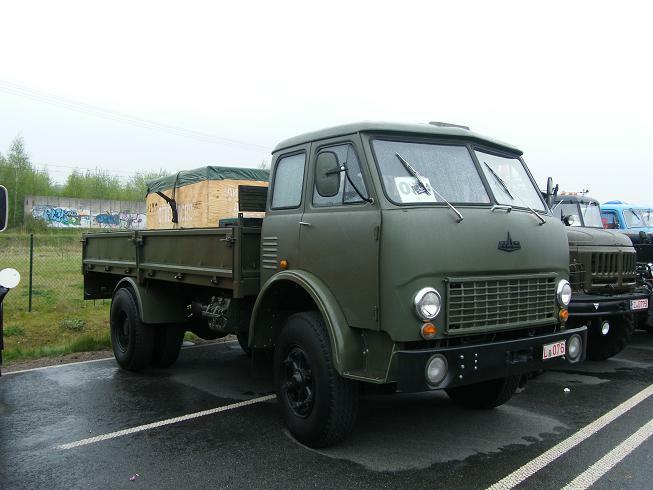 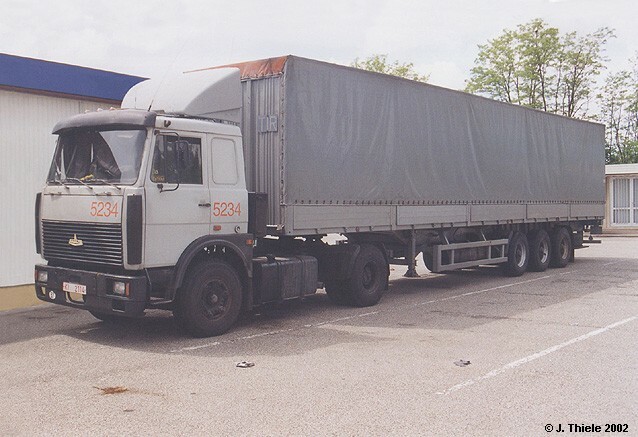 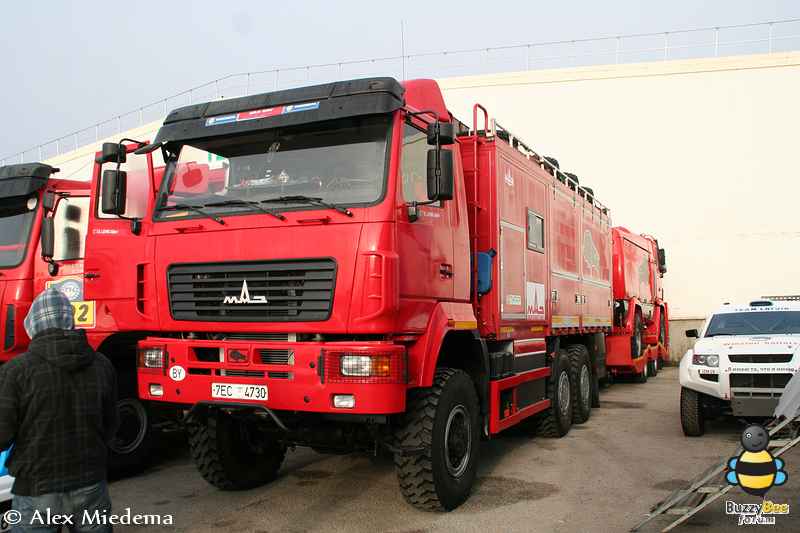 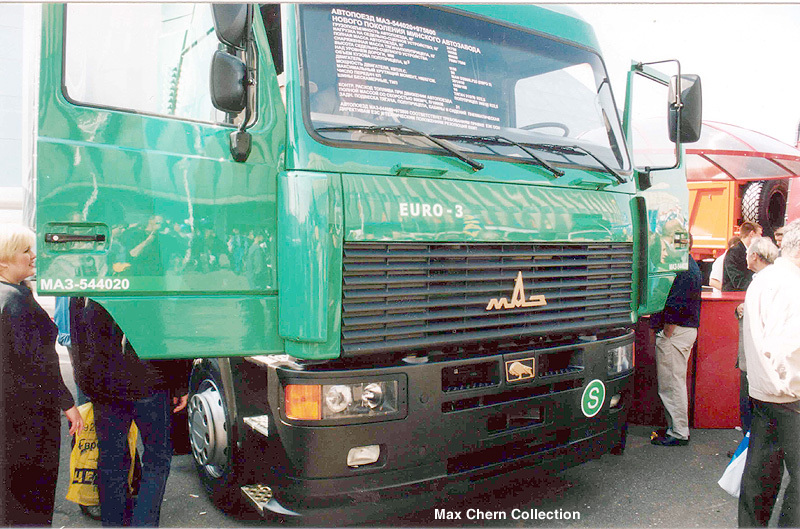 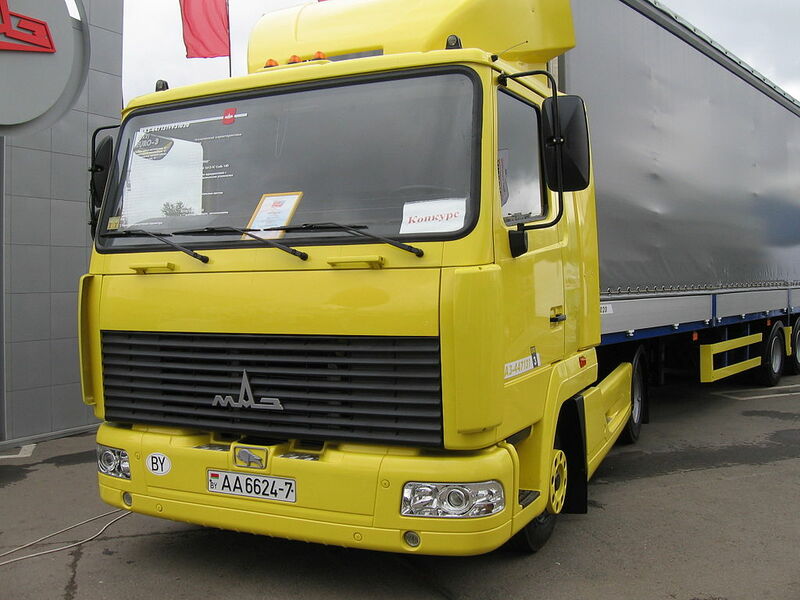 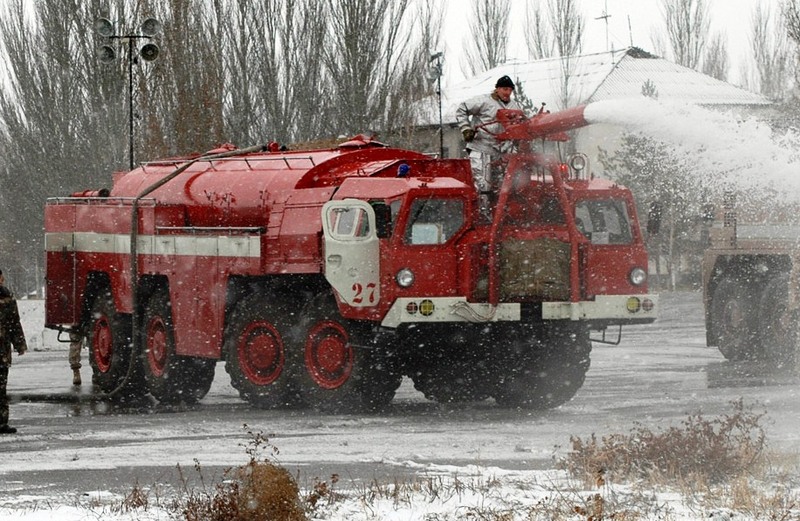 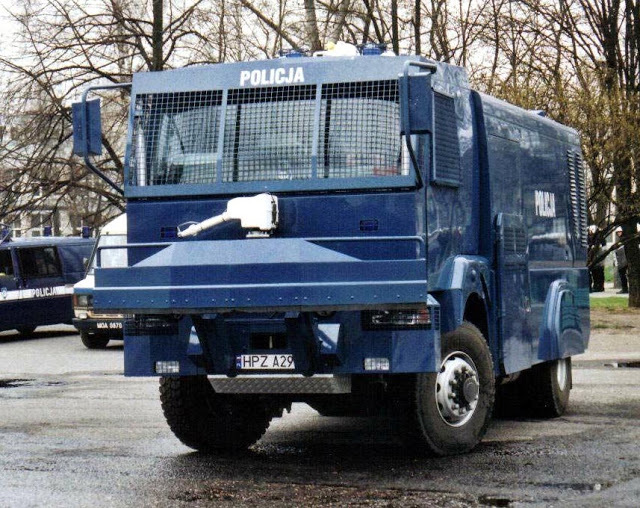 In 1997, together with “MAN“, a joint Belarusian-German company JSC “MAZ-MAN”, Minsk was set up, which by 1998 had established full-scale production of heavy vehicles, using the F90 MAN cabs introduced 1986 and replaced 1994. 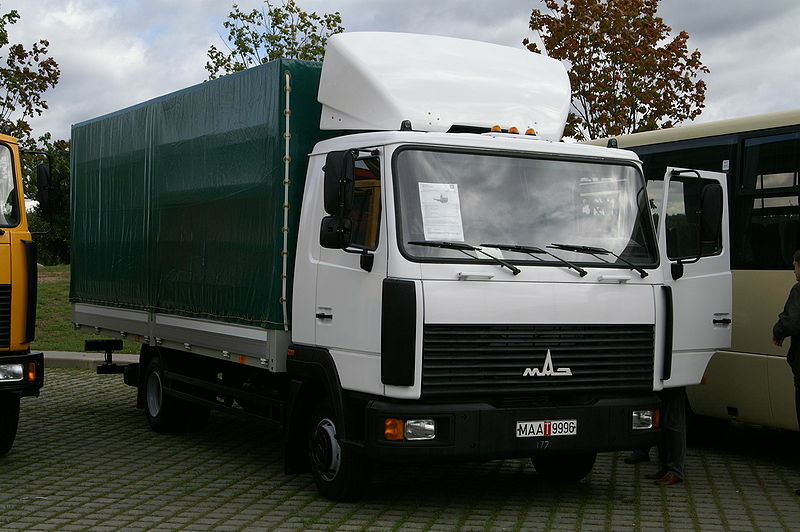 Production of truck cabs involves huge, expensive tools, making this kind of recycling an existing design attractive. 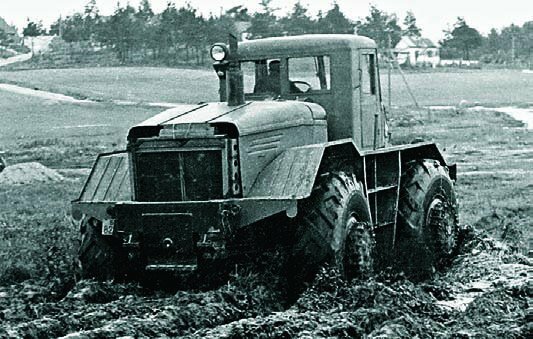 While production of tractors for international trade with 4×2 and 6×4 chassis layouts was a stated goal, development of exhaust gas regulations within the EU turned this into illusion. 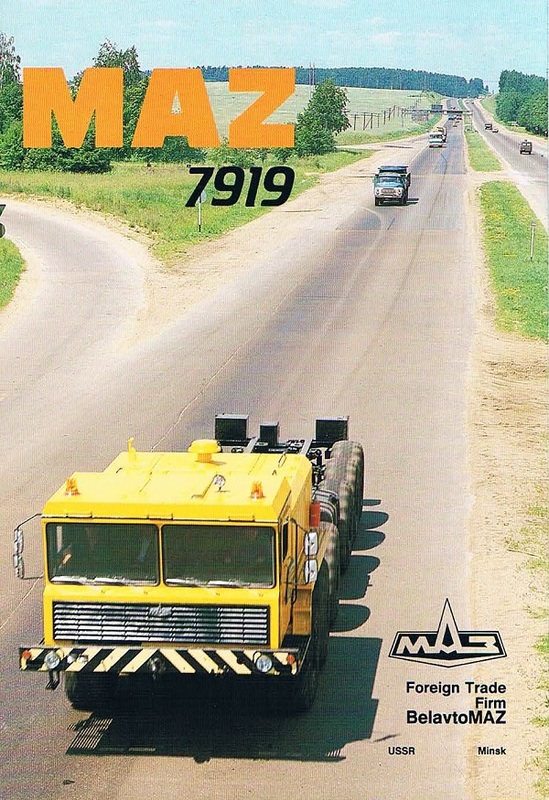 Based on the MAZ-MAN they have produced concrete mixers, fueling vehicles, flatbed trucks, dump trucks, front-end loaders etc. 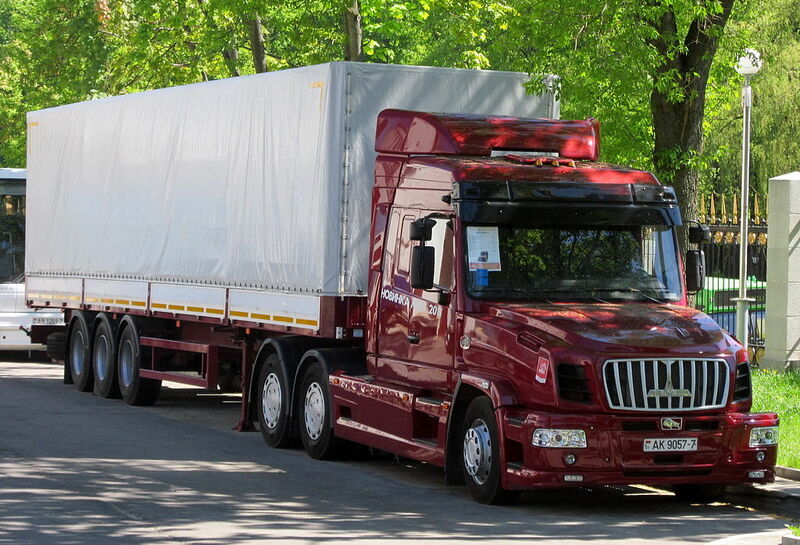 Production of the Belarusian-German company demonstrated the advantage of technology created by combining the abilities and experience of auto makers of two countries. 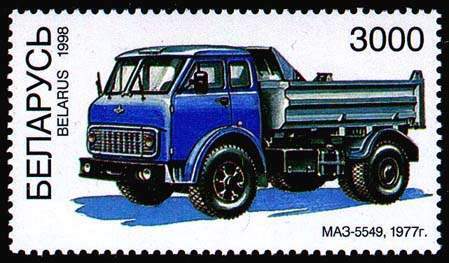 Compared to European models in the same class and quality range, MAZ-MAN products are on average 30% cheaper. 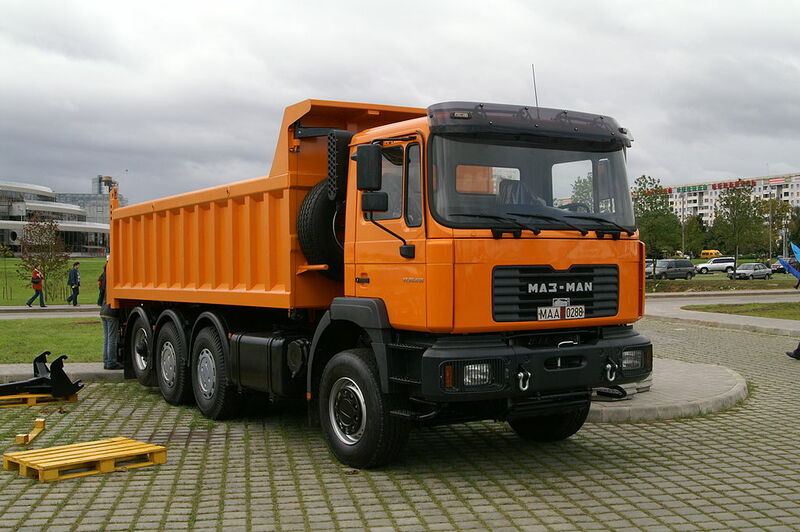 Currently 98% of MAZ-MAN comply with Euro-3, while sale to the EU would require Euro-5 at least, Euro-6 by 2014. 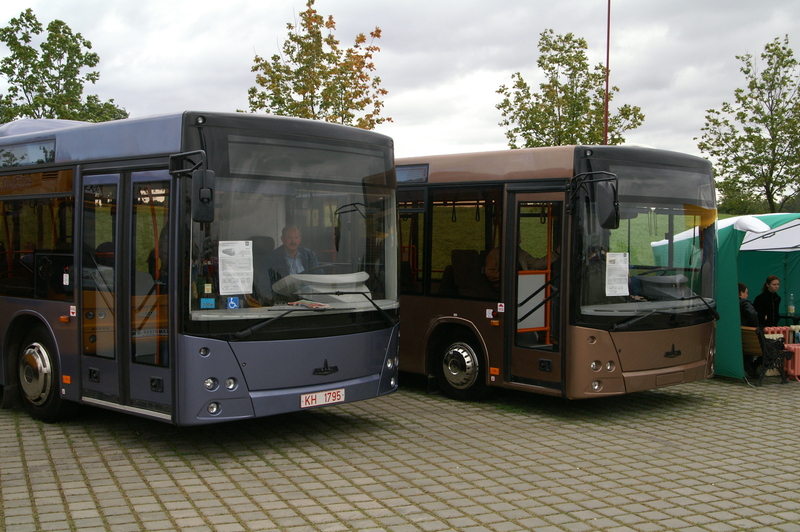 In 2004, the joint venture made 272 vehicles, which is 45% higher than 2003. 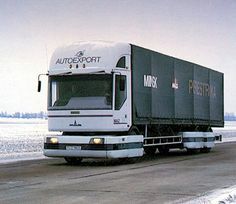 At the same time in 2003, output in comparison with 2002 increased by 50%. 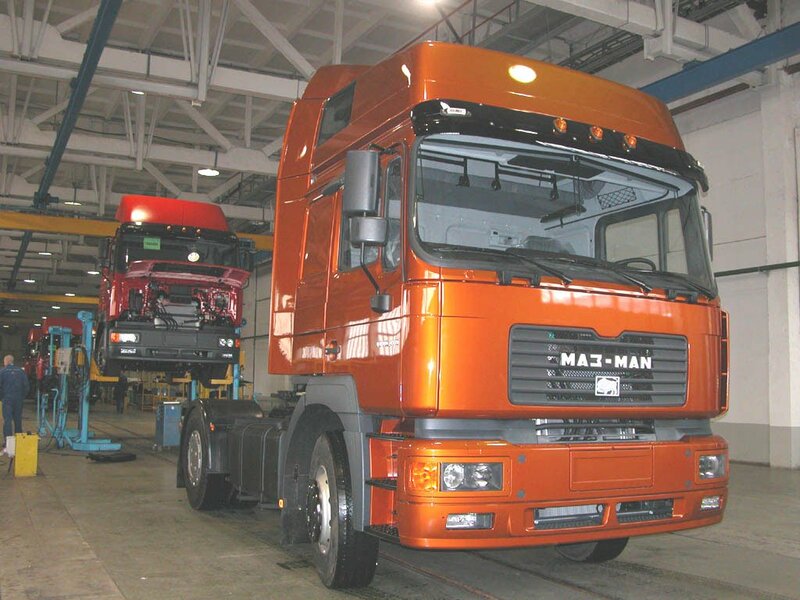 28 November 2005 MAZ-MAN sold 1000 of the first MAZ-MAN tractor to customers. 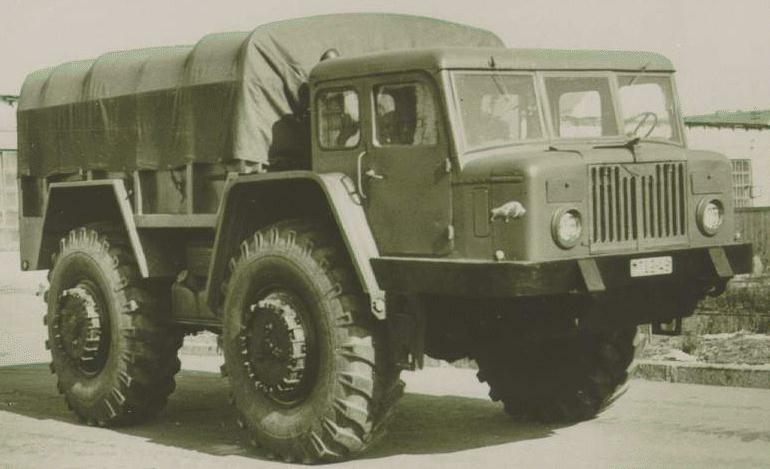 MAZ-535/MAZ-537 – The MAZ-535 and the heavier version MAZ-537 were developed in the early 1960s and built to transport rockets and tanks of various types. 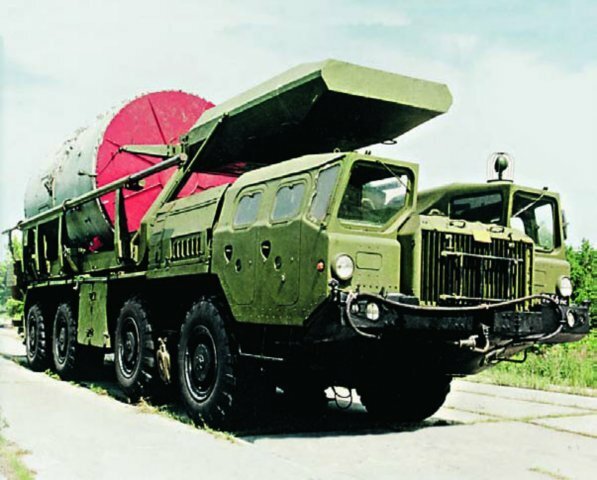 MAZ-543 – The MAZ-543 was also designed for the transport of medium-and long-range missiles and has the same specifications as the MAZ-537. 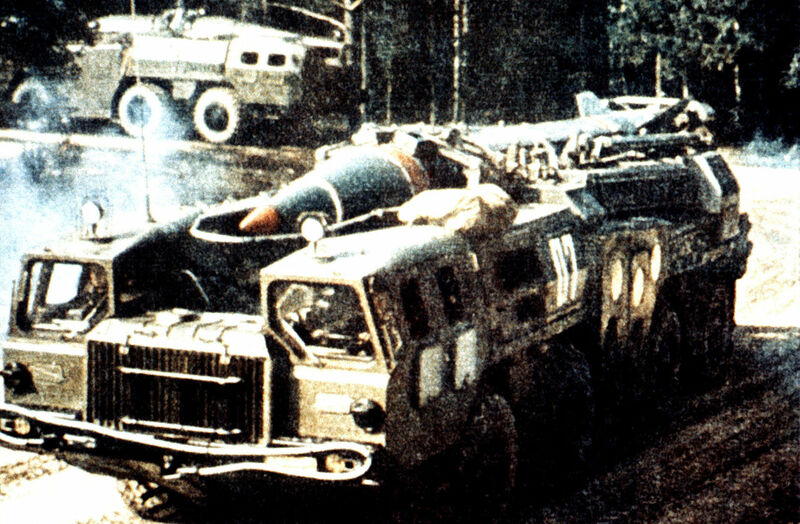 The MAZ-543 is best known as mobile missile launch pad of Scud missiles. 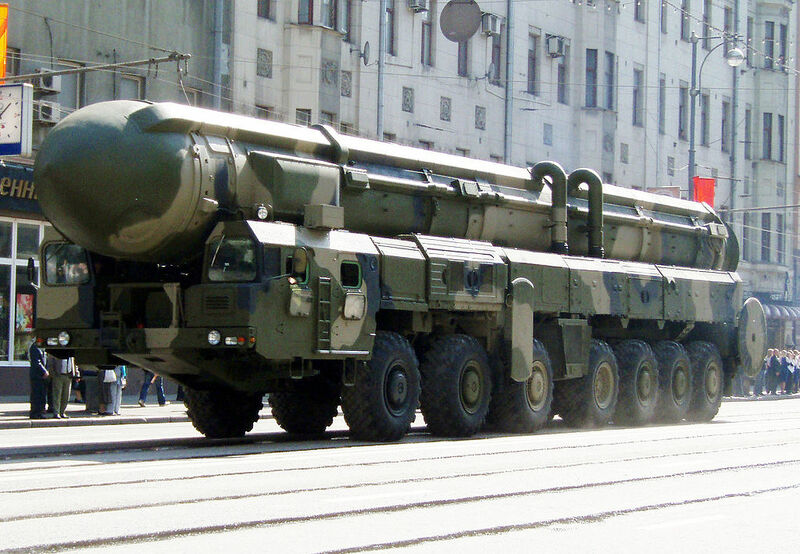 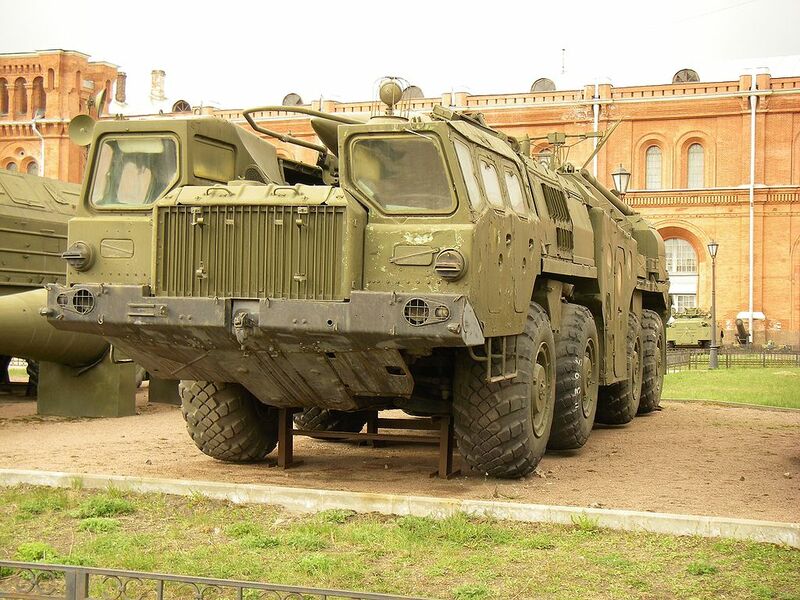 In addition, there are various modifications of the vehicle, such as the MAZ-547 as a mobile launch pad for SS-20 missiles or the MAZ-7917 as a launch pad of Topol intercontinental missile. 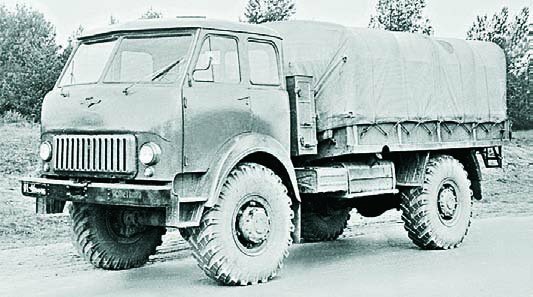 MAZ-7904 – The MAZ-7904 is the largest wheeled vehicle that was ever designed for military purposes in the USSR. 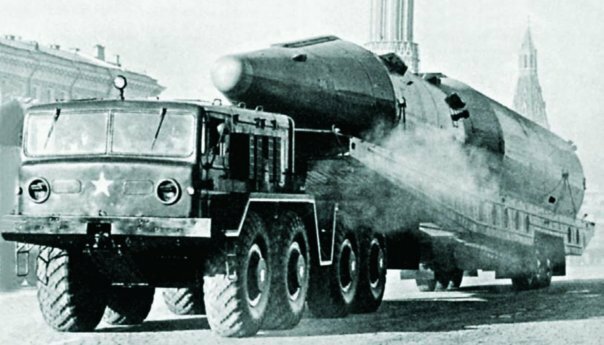 The prototype was designed in 1982 as a support vehicle for intercontinental ballistic missiles, but never went into production. 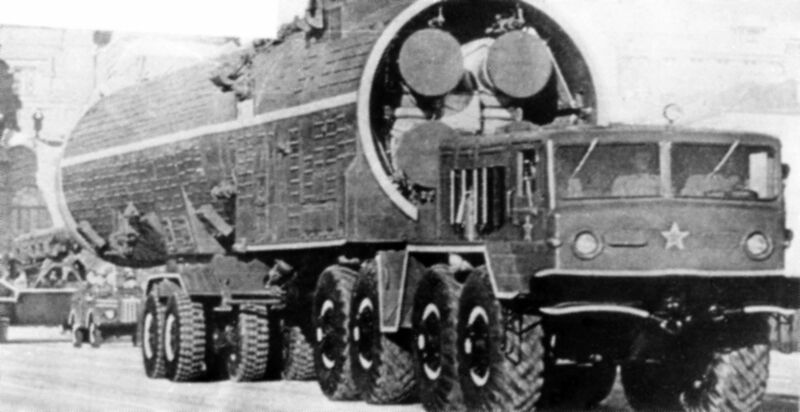 The vehicle was found in 2007 in a hangar at Baikonur. 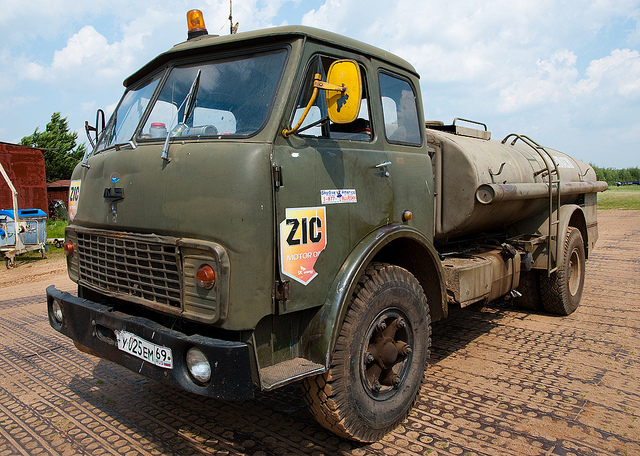 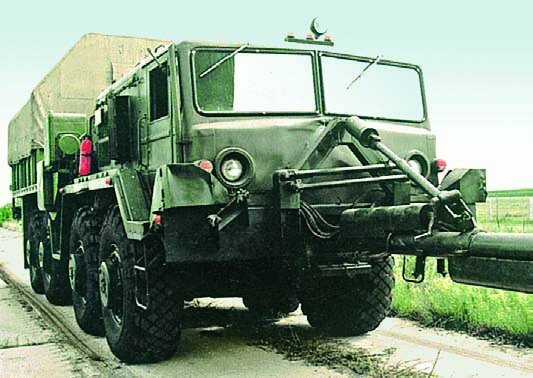 MAZ-7907 – The MAZ-7907 is a 12-axled 24 wheel vehicle for transport of ICBMs, which was designed in 1985, and of which two prototypes were produced. 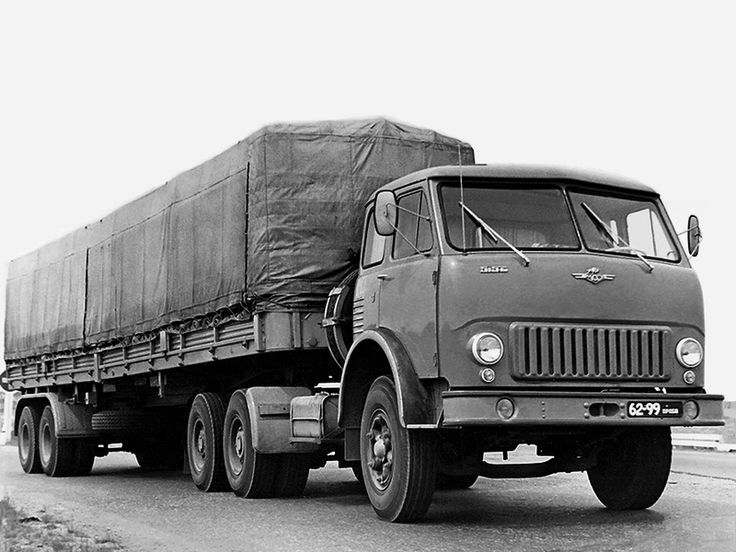 At least one seems to have been used after the collapse of the USSR for transportation of bridge parts and ships. 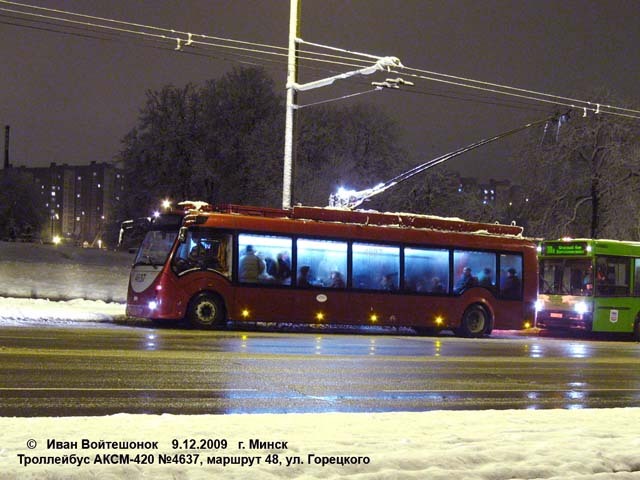 Their fate is unclear.